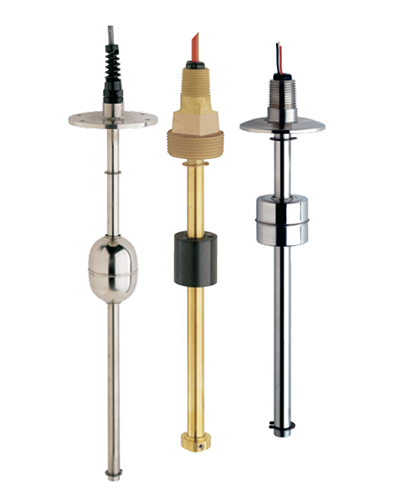 Gems® type XM-800 & XT-800 small size float level sensors feature the rugged durability of stainless steel or brass construction. The XM-800 series provides analog output, and can be combined with Gems digital meter receiver stations and compact level cubes. The versatile XT-800 series adds a choice of signal conditioning for use with Gems digital bargraph receivers or other digital display and control equipment.